It is also known as the ‘tree of eternity and is one of the oldest cultivated trees in the world. The first olive trees were grown even before we began written language. They originated in what is now Turkey, impacted significantly in every Mediterranean civilisation. It is a durable tree, able to cope with and withstand adverse weather conditions. ’The trees can survive drought and sun exposure and can live in any warm, sunny and temperate climate. Olive trees are able to survive in almost any soil type. One of the oldest olive trees is thought to be more than 3,000 years old. There are 500 cultivars or varieties of olives coming from around 800 million olive trees. Olives come in a surprising number of flavours. Whether you love the buttery Italian Castelvetrano or the tangy Greek Calamata, there’s an olive for everyone. The taste of an olive depends on several factors, such as the climate where it is grown, the time of the harvest and how they are cured. The small, fun-sized fruit comes in a plentiful supply of varieties to choose from. 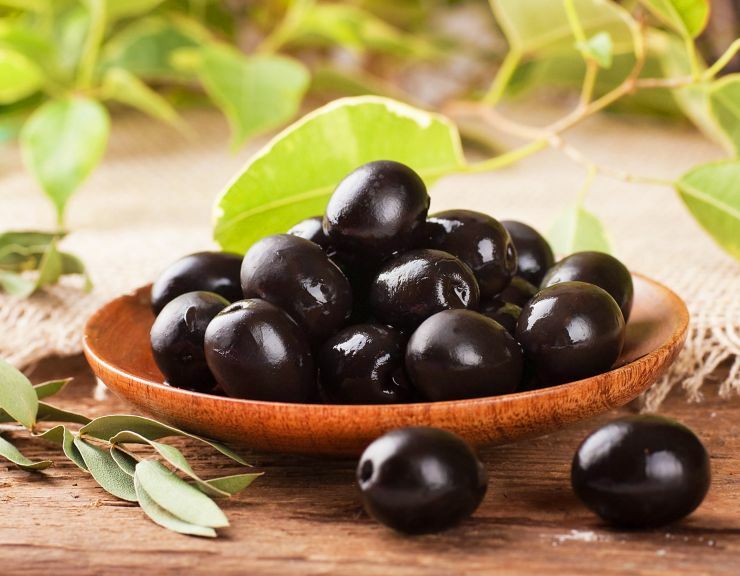 The colour of an olive is affected by the time it is harvested. Green olives are younger, while darker olives are more ripened. How mature an olive is will also change the way it tastes and feels. It is the method of curing that makes the biggest difference to an olive’s flavour. Curing an olive in two different ways will provide completely different flavours. The colour of an olive is decided by the time it is harvested. The younger olives are picked from the tree around September and October. These olives will be tart and firmer. Darker shades have been grown for longer and could come in a purple, black or brown hue. They are picked in January and as such, are softer and more tender. Darker olives, being more mature, have a deeper, richer flavour and are much more tender than their younger counterparts.